Tree cabling is used quite a bit in Mississippi. One use is to tie special cables to your tree, which can be adjusted from week to week, and re-train your tree to grow in a safer direction. Cabling can also be used to avoid an eminent disaster or to help a weak tree grow stronger. Do You Need Tree Cabling? Tree cabling is used in several different ways. Do you have leaning trees? If so, cabling will fix your problem. 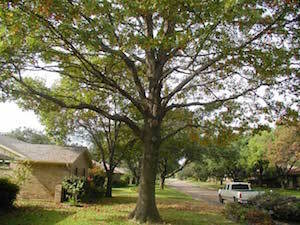 Sometimes a tree or trees can present future problems for a homeowner. Rather than remove the tree, "cabling" can present a faster and cheaper solution for you. 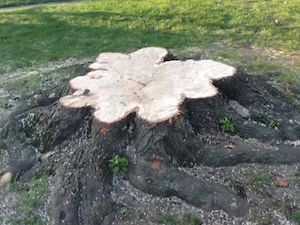 Trees can be cabled temporarily or indefinitely depending on the crisis you are facing. This is a safe way to maintain tree health. 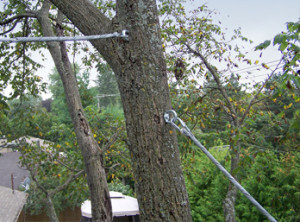 Tree are also cabled to release the stress of high winds or ice storms. The goal is to strengthen weak branches and give them more support to survive in the elements. 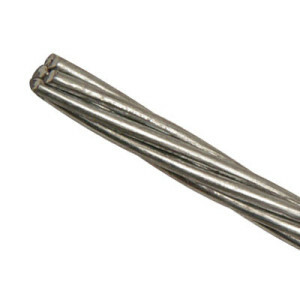 The cables are made of a special weather-resistant steel and are lifetime guaranteed. 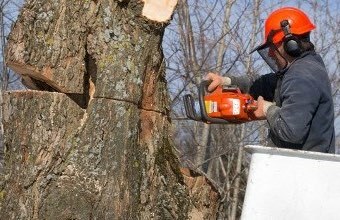 There are a variety of ways to cable a tree and an arborist must have special training to employ this practice correctly. Give us a call if you want more information on tree cabling. 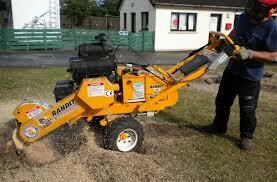 Here Is An Overview Of What Cabling Can Offer Your Trees.